Wouldn’t it be great if they really had an award for that? Give it some time. They probably will, eventually. Here are our picks for the greatest movie cars of all time. Directed by Franklin J. Schaffner, “Patton” is a biographical war film about U.S. Army Gen. George S. Patton (George C. Scott), and takes place during World War II. “Patton” won seven Academy Awards, including best picture. Photo: coacheshotseat.com. George C. Scott as General Patton, in his 1942 Dodge WC-57 Command Car. Not all Army transport jeeps were of the Willys marque. When you had to carry something heavy, like a General’s ego, it took something closer to a three-quarter ton truck. Absolutely authentic to the vehicle that transported the esteemed general in the African and European theaters of war, the movie showed the 1942 WC-57 Dodge Command Car with the general himself aboard. This early “talkie” romantic comedy was the first movie to win all five major Academy Awards: best picture, director, actor, actress, and screenplay. The inimitable Claudette Colbert, in a scene in which she and co-star Clark Gable’s characters are hitchhiking, uses unorthodox attention-getting tactics to hail ride from a driver played by Alan Hale (the Skipper from Gilligan’s Island), who slams on the brakes of his 1924 Ford Model T.
The “Godfather Part II” is the second installment of three in an American crime epic. Produced and directed by Francis Ford Coppola from a screenplay co-written with Mario Puzo, it stars Al Pacino and Robert De Niro. The film was a huge critical success, winning the Oscar for best picture, and being nominated for a total of eleven Academy Awards. 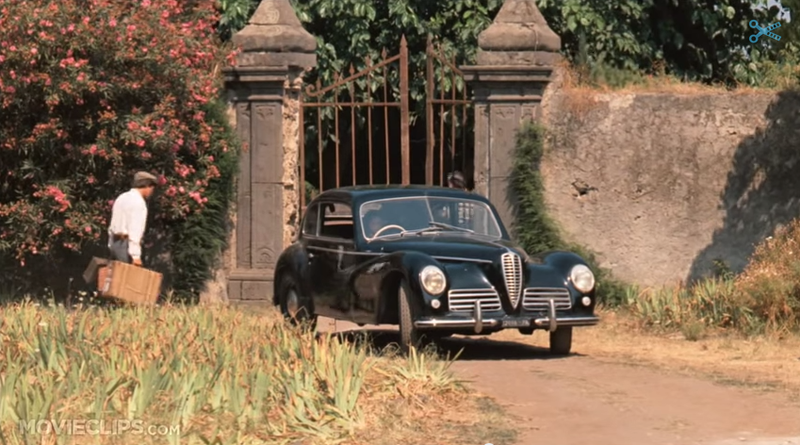 The 6C 2500 Freccia d’Oro seen in the above scene was the first car built by Alfa Romeo after World War II, and seeing it destroyed by bombing was sad and painful, though not nearly as much as seeing Michael Corleone lose his beloved wife, Apollonia. Not released in the United States until 2009, this tense war drama was eligible for the 82nd Academy Awards, where it received nine nominations, winning in six categories, including best picture. In the scene above, the main characters are driving through the Iraq desert in perhaps the most iconic vehicle currently in the military’s fielded stable, the High Mobility Multipurpose Wheeled Vehicle (HMMWV), commonly known as the Humvee. It is produced by AM General, and inspired the designs of the GM Hummer SUV series. “Driving Miss Daisy” is an American comedy-drama directed by Bruce Beresford, starring Morgan Freeman and Jessica Tandy. In 1990, “Driving Miss Daisy” received nine Academy Award nominations, winning in four categories, including best picture. “Titanic” is a fictionalized account of the sinking of the RMS Titanic, and stars Leonardo DiCaprio and Kate Winslet. Upon its release, “Titanic” achieved critical and commercial success. Nominated for a show-stopping fourteen Academy Awards, it won in eleven categories, including the award for best picture. “Titanic” was the first film to reach the billion-dollar mark in ticket sales. The custom-built replica 1912 Renault 35CV was prominently featured in a memorable scene of the film. That scene. Remember? The hand on the window? Yes, that one.